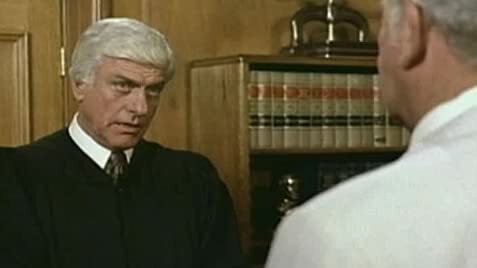 Matlock defends an ex-con in a bank robbery trial, which hinges on the testimony of a kid who claims he can identify the real bandits. How many episodes of Matlock have you seen? Ben Matlock: [Ben is escaping from his insurance agent into another room, and is praying to God] Oh God, please cut out his tongue! 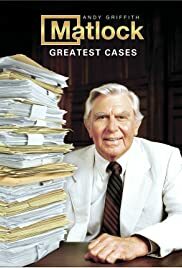 Q: Does Ben Matlock win every case? There really isn't anything obviously good about "Matlock." It's kind of corny. It's awfully predictable (Matlock ALWAYS represents innocent clients and ALWAYS unmasks the real culprits in getting said innocents off). Some of the characters are pretty lame (Billy and Cliff Lewis are not personal favorites). And yet, somehow, I really enjoy this program. It really says something for Andy Griffith that I, a Yankee boy born probably 15 years after he left Mayberry, find him so charming as an ol' coot of a southern lawyer in a funny-looking suit. Can't really say why or how it comes through, but he must be one hell of an actor. (It also doesn't hurt to have Don Knotts, if only for Mr. Ferley-related nostalgia value). Incidentally, if for no other reason than the episode in which Tyler infiltrates a circus, Keene Holiday has it all over Clarence Gilyard (who I hold in large part responsible for the reprehensible "Walker Texas Ranger"). And I won't even begin to discuss that female investigator they brought in towards the end. Blech. Overall, then, despite the not inconsiderable problems with "Matlock," I love it. Andy Griffith playing a ukelele will always be a fond memory for me (It also helps to counteract the memory of those vaguely creepy commercials for Andy's gospel album that they run on TBS at off hours).